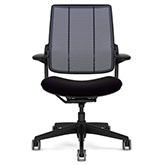 HumanScale FM300 / FM-300 Foot Machine Footrest - Ergonomic Seating FM300 Foot Machine Footrest by HumanScale. 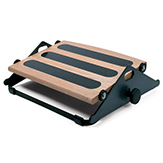 FM300 Foot Machine Footrest - Humanscale foot machines get feet moving for health and comfort. Offering relief from prolonged, static sitting by encouraging gentle rocking of the feet, they engage lower leg muscles to increase healthy circulation. Designed to be the perfect accessory to an ergonomic work environment, the FM300 will help to enhance the experience of the ergonomic workstation. About FM300 Foot Machine Footrest: Humanscale FM-300 foot machines get feet moving for health and comfort. Offering relief from prolonged, static sitting by encouraging gentle rocking of the feet, they engage lower leg muscles to increase healthy circulation. Designed to be the perfect accessory to an ergonomic work environment, the FM300 helps to enhance the experience of the ergonomic workstation. Healthy Rocking: Studies have shown that moderate movement throughout the day promotes circulation and increases productivity. 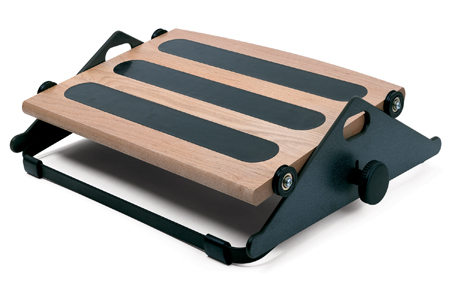 By stimulating the lower back, leg muscles and feet, the FM300 foot rest can help to increase circulation and contribute to a sense of wellness. Adjustable Foot Massage Therapy: Featuring ball-bearing rollers and up to three inches of height adjustment, the FM300 brings flexibility and personalized massage therapy to the workspace by encouraging rocking throughout the day. 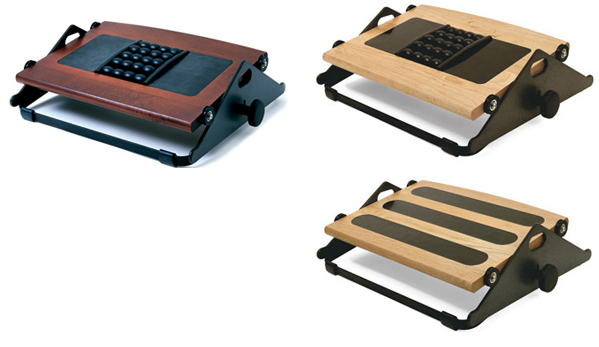 Durable Construction: With a platform built from solid hardwood and phenolic side supports, the FM 300 foot rests incorporate thoughtful design considerations into a timeless aesthetic.